Our web app is extremely easy to use. It is an familiar display that is very similar to software and web applications you have used. You will get the hang of it real fast. The web app contains features which will streamline the selection and mailing process. We are constantly evolving and will be adding even more effective and efficient features. Customize the web app to your needs and desired format. 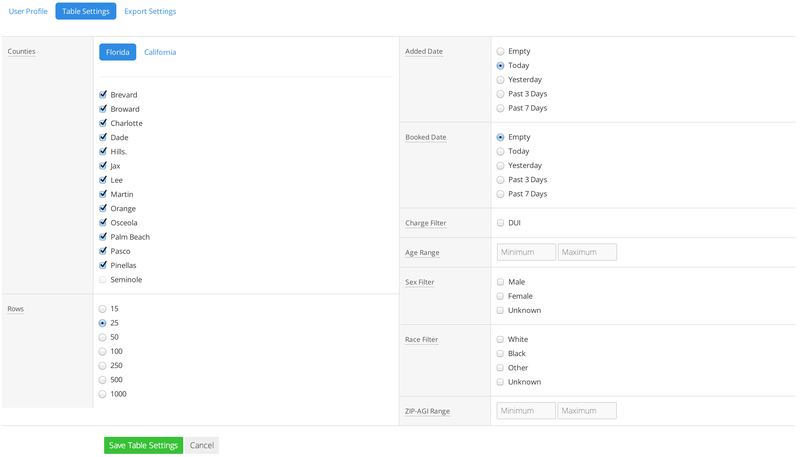 You can customize the display of the arrest table as well as the ability to create specific filters and date ranges.